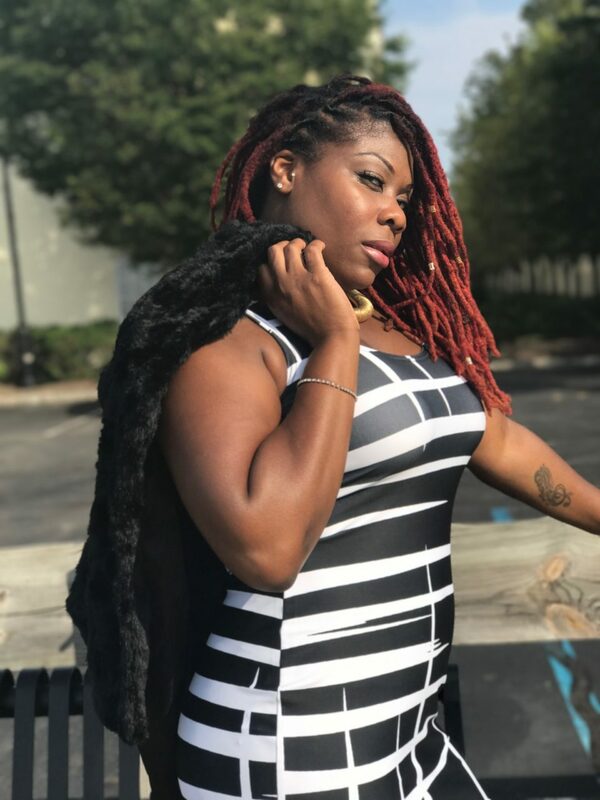 In a world where it seems as if everyone is attempting to stand out while being the same, Ms. Joi-Louise Greenwood, designer and owner of Joi-Louise the Label has found her own way to stand out from the crowd. With her bold prints, styles, and designs, this Jersey City native pays homage to the diversity of her city by providing the same with her designs. Joi-Louise also reminds us through her clothing line, that all women deserve to look good and feel good. It was my pleasure to have the opportunity to discover just a little of what inspires this womanpreneur to provide amazing style for the everyday woman. 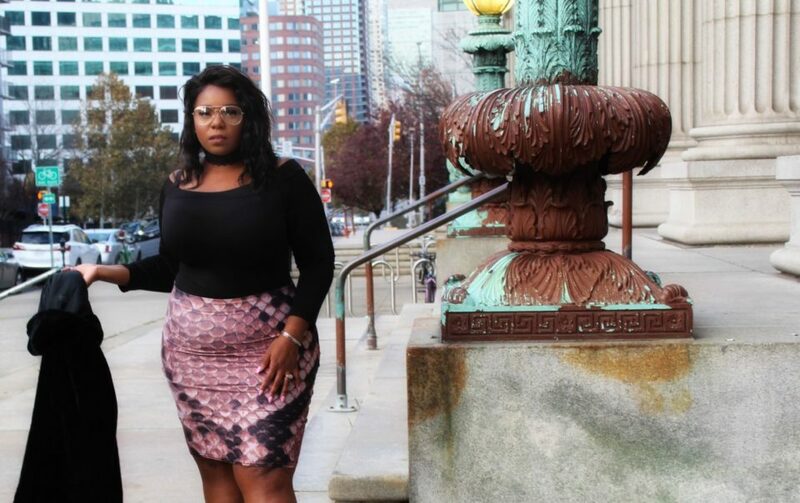 Joi-Louise: I am born and raised in Jersey City. I grew up on the hill below the boulevard. I went to PS 38, Snyder High School and New Jersey City University. I attended fashion school in between pursuing my master in Business Marketing. 1. How did the desire to create Joi-Louise the Brand come about? I never set out to create a brand in my name but after a failed prior business partnership the “Joi-Louise Brand” organically grew from all I was experiencing and dealing with in life. I put so much of my identity into this label that it kind of had to be named after me. 2. Where did you get your start as a clothing designer? I guess I got my start when I decided to enroll in fashion school. I attended Wood Tobe Coburn in Manhattan. Learning the foundation of design and construction gave me the tools I needed to create collections and really design from my core. 3. What is your personal mission for Joi-Louise the Label? I want JLTL to be the online destination for Distinctly Printed Apparel. A place where people know they can come for their “WOW” statement pieces. In each piece that I design, there is another piece that was made for it, or that could be styled with it. I love to design looks and not just pieces. I have a huge heart for young women; I just want them to be great! I want to bring a community of young female Jersey City creative’s together by offering internships, jobs and learning experiences. 4. Where do you find your motivation when you are designing the line? I am motivated by style; I find motivation in moods, films, music, and nature. I can be driving down the highway looking at the fall leaves on the trees or listening to Bruno Mars. Style can be so emotional and the majority of the time I can feel an outfit before I have even designed it. When creating the shapes, I like to keep them basic; my print designs are what take each piece to a different destination. 5. Being from Jersey City, how important is it for you to represent aspects of your city in your work? 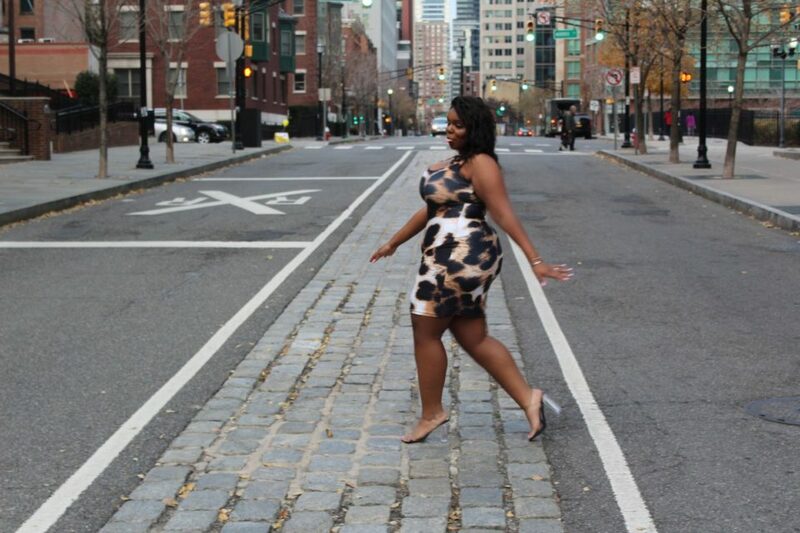 When it comes to showcasing my designs, I love to use the city as my backdrop. Jersey City is a work of art in itself. My models have been photographed in different parts of JC, and I plan to keep the essence of the city a part of my social media presence. One of my goals is to really capture my designs with the amazing murals of the city, really showcase the creative talents of Jersey City. 6. Are there any particular personal fashion rules you implement when you are designing, and/or ones you apply to your own personal style? I don’t think I design under any rules other than I need to feel butterflies when I see the final product. Life is too short to really wear anything that doesn’t make you feel amazing when you are going out. Whether it’s date night, girl’s night or brunch. The only rule is; feel your best. When I am designing, I always keep the feel of my pieces, the colors, and vibe in mind. 7. One of the things I’ve noticed on your social media platforms is how you do a wonderful job at promoting positive body image for all women and sizes. It appears as though your designs are made for all body types as well as your decision to use varying body shapes, and multi-ethnic models for your line. Can you please explain to me the intent and inspiration of that decision? Thank you so much for noticing! You really hit the nail on the head. The world is just that; multi-ethnic, variously shaped & sized. I myself am full-figured and I am glad to see that the fashion industry in designing more trendy and fashionable pieces for women of various body types. The women I work with, for my brand, promotion are gorgeous and all so different, just like my pieces. No two pieces are the same; all of my prints are bold and fun. I also, want women to understand that my brand is inclusive. A group of ladies can shop at my brand if they love my pieces and they don’t need to feel left out because one of them may be an XS and the other is an XL. 8. Jersey City is a diverse and growing city, has gone through many changes over the past few years: what does it mean to be a woman running a business in the city you’ve grown up in? Running a business in Jersey City is really about pounding the pavement and making a name for yourself. It is one thing to be from JC and have a business but if your own people don’t root for and represent you, what following do you really have? I am currently working on being known at home and letting people know about the brand, what it stands for and who I am as a designer. 9. Lastly, what advice would you give a young person seeking to begin a career in fashion? You MUST develop a tough skin! Be confident in yourself and in your work. Intern, Intern, Intern! A lot of people have an overinflated ego and say, “I won’t work for free”, but don’t realize that not all payment is monetary. Knowledge is priceless. My first design internship was for Sean John and I learned so much about the business while I was working there. Pay your dues! Phoenix Robles is a growing street photographer and documentary photographer, using her medium to share the stories of those who may go unheard. 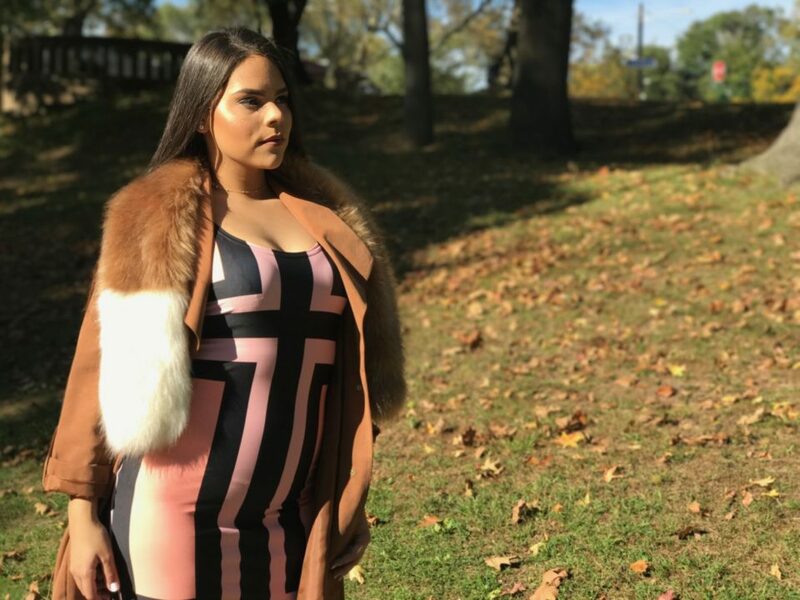 After traveling across the globe for a while, and doing some photography in Puerto Rico Phoenix has returned to Jersey City immersing herself in arts and culture of Jersey City. As a lover of arts you can find Phoenix exploring museums, art shows, and vintage clothing stores finding inspiration with her camera "Black Betty" in hand. When she isn't shooting she spends time with her 3 kids, enjoys painting and cooking for her pop-up cafe, and being 1/2 of the duo "Pot Mamas", a medicinal marijuana advocacy business.